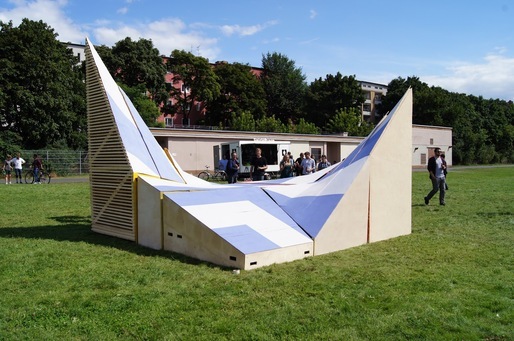 This summer, UIC students completed two pavilion projects in different locations in Berlin. One project was a part of the annual StudioBerlin, which takes UIC students to Berlin every summer. 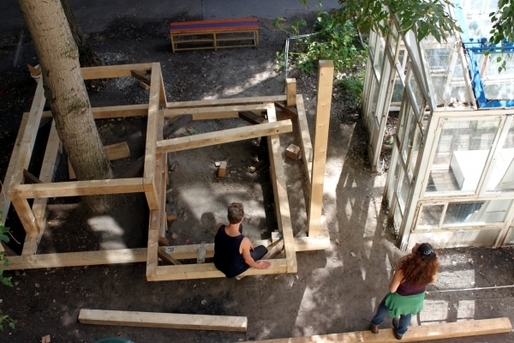 The second project was part of an Artist-in-Residence program called HomeBase Berlin that I took part in for 3 months. Pankow. A neighborhood in the north, and former East Berlin. 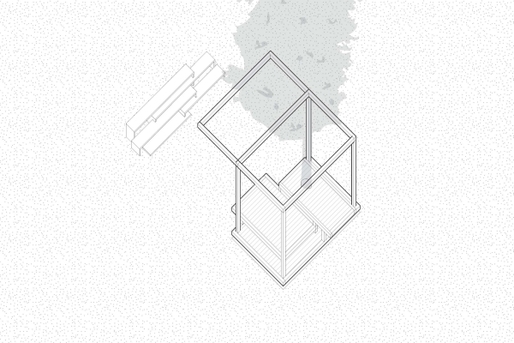 Axonometric view. 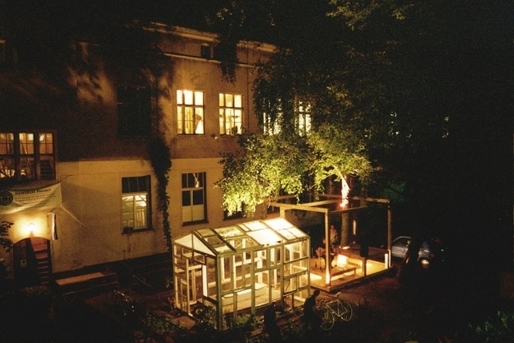 The permanent pavilion constructed during the Residency at HomeBase Berlin is a space for Working, Performance, and Leisure(and a variety of activities in-between). The residency is host to creatives from around the world who represent different disciplines(visual art, writing, performance, etc). 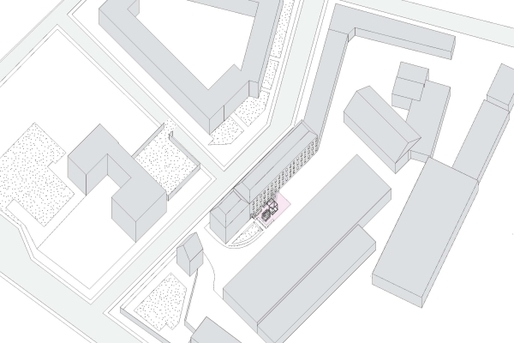 The pavilion, which is situated in the inner courtyard of a former brewery which the residency now occupies, acts as a condenser of these activities in a semi-public space. The summer residency culminated in three days of festival programing, which included exhibitions, lectures, performance, and open studios. 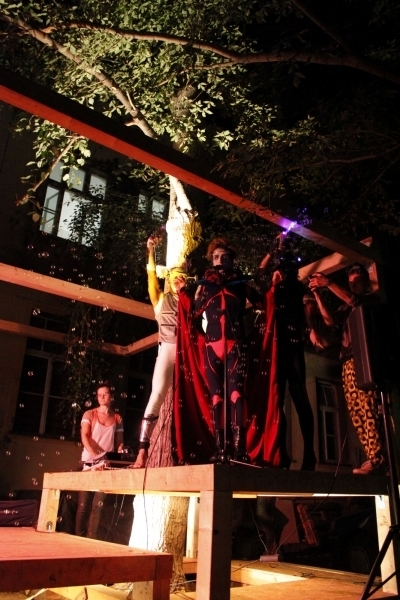 The activity of the festival gravitated around the pavilion space, with nightly performances. 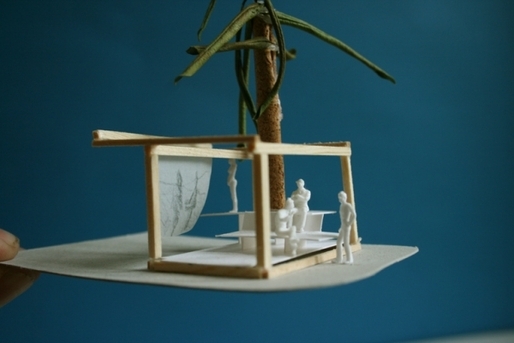 The pavilion is designed as a flexible framework for creative production. It's impossible to predict the desires and uses of a space that hosts such a variety and quickly rotating group of artists(residencies last 3-4 months, 3 times per year), so structure is intentionally unspecific, and is defined by the users projective programming. View of studio building, existing greenhouse, and the new pavilion. StudioBerlin designed pavilion for urban gardeners in Tempelhof park, which is a former air field that has been converted into one of the largest city parks in europe. Here's some text from 2nd Year Graduate student Heather Wick's Blog. "We wanted to give the gardeners new opportunities for activities in their garden. We were drawn to a structure that was something clean when it was together, then could break apart and become useful in new ways. We saw possibilities in objects when they were cracked opened, turned upside down, or hollowed out. We wanted to design surprises." "To prepare for our presentation to the gardeners, we decided on a scheme that was a "puzzle" of 9 pieces that were each like a malformed box. When they were put together, they were a cohesive whole, but when separate, their unique shapes lent each piece to a different specific purpose." 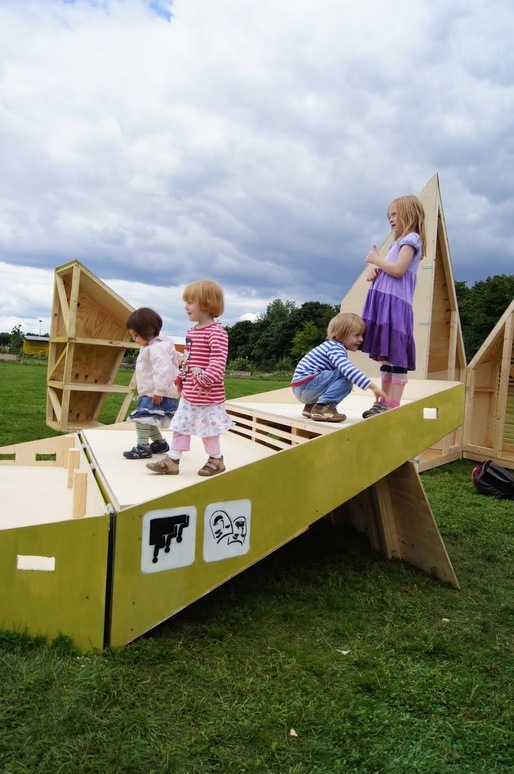 StudioBerlin's folded and composed pavilion on the east end of Tempelhof feld. The stage section, unfolded, and in use.